The POMA Board of Directors is made up of active and respected DOs in Pennsylvania. They are voted into position each year at the Annual Clinical Assembly. Find out more about this year's officers and other POMA leadership. 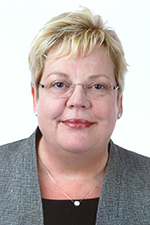 Joan M. Grzybowski, DO, FACOFP, was named POMA’s 107th president in 2018. She is board-certified in family medicine and resides in Conshohocken, PA. She is employed by the Philadelphia College of Osteopathic Medicine as an Assistant Professor and practicing physician. A member of the POMA Executive Committee and the POMA Foundation Board of Directors, she serves as a delegate to the POMA, the American Osteopathic Association and the American College of Osteopathic Family Physicians (ACOFP). Dr. Grzybowski is also a director on the American Osteopathic Board of Family Physicians, a fellow of the ACOFP, and a past president of the Pennsylvania Osteopathic Family Physicians Society (POFPS). Pamela S.N. 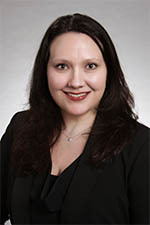 Goldman, DO, MHA, FACOI, POMA's President-elect, is a resident of Yardley, PA. She is board certified in internal medicine. Dr. Goldman is the interim chair and associate chair of the Division of Hospital Medicine and an academic hospitalist with Einstein Medical Center in Philadelphia, Pennsylvania. Dr. Goldman is also a fellow of the American College of Osteopathic Internists and a delegate to the POMA and the American Osteopathic Association. Additionally, she is a member of the American College of Physicians. Gene Battistella, DO is board-certified in internal medicine and is a practicing physician for St. Clair Medical Services-West Hills Medical Division with an office at Ohio Valley Hospital in McKees Rocks, Pa. Dr. Battistella is also past vice chairman of the Board of Directors and past president of the medical staff at Pittsburgh’s Ohio Valley Hospital in McKees Rocks. Prior to being elected vice president of POMA, Dr. Battistella served as vice speaker of the POMA House of Delegates. He is a member of the POMA Foundation Board of Directors, the chairman of POMA’s District 8 and a member of the POMA executive committee. 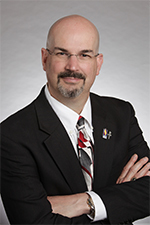 Dr. Battistella is also a delegate to the POMA and the American Osteopathic Association. Dr. Battistella is a 1988 graduate of St. Vincent College, Latrobe Pa, and graduated with his Doctor of Osteopathic Medicine from Philadelphia College of Osteopathic Medicine in 1992. He completed his osteopathic rotating internship at Conemaugh Memorial Hospital in Johnstown Pa, in 1992-1993 and internal medicine residency at the Mercy Hospital of Pittsburgh in 1993-1996. 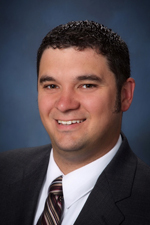 Eric J. Milie, DO, F.A.C.O.I., of Erie, is board certified in internal medicine. Dr. Milie is assistant clinical professor of internal medicine at the Lake Erie College of Osteopathic Medicine, and a physician at Medical Associates of Erie. He is also medical director of outpatient services and director of the internal medicine residency program at Millcreek Community Hospital in Erie. Chairman of POMA’s District 7, Dr. Milie is also a fellow of the American College of Osteopathic Internists and is a delegate to the POMA and the American Osteopathic Association. 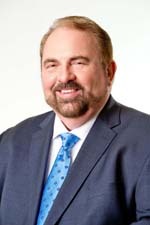 George D. Vermeire, DO, was named POMA’s 106th President in 2017. From Oreland, Pennsylvania, Dr. Vermeire is board certified in family medicine. He is the medical director in the Northeast Region for Aetna, Inc., in Blue Bell as well as the Aetna liaison to the American Osteopathic Association (AOA). 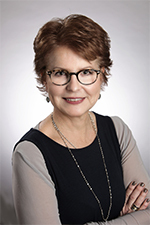 A member of the Association for over 40 years, Dr. Vermeire has served as a trustee of POMA’s District 10 and a member of the Executive Committee. Chairman of the POMA Foundation, he also serves as a delegate to the POMA and the AOA, and is a member of the American College of Osteopathic Family Physicians and the Pennsylvania Osteopathic Family Physicians Society (POFPS).